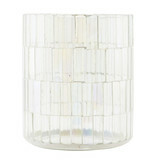 Mosaic from House Doctor is a beautiful and decorative tea light holder from House Doctor. 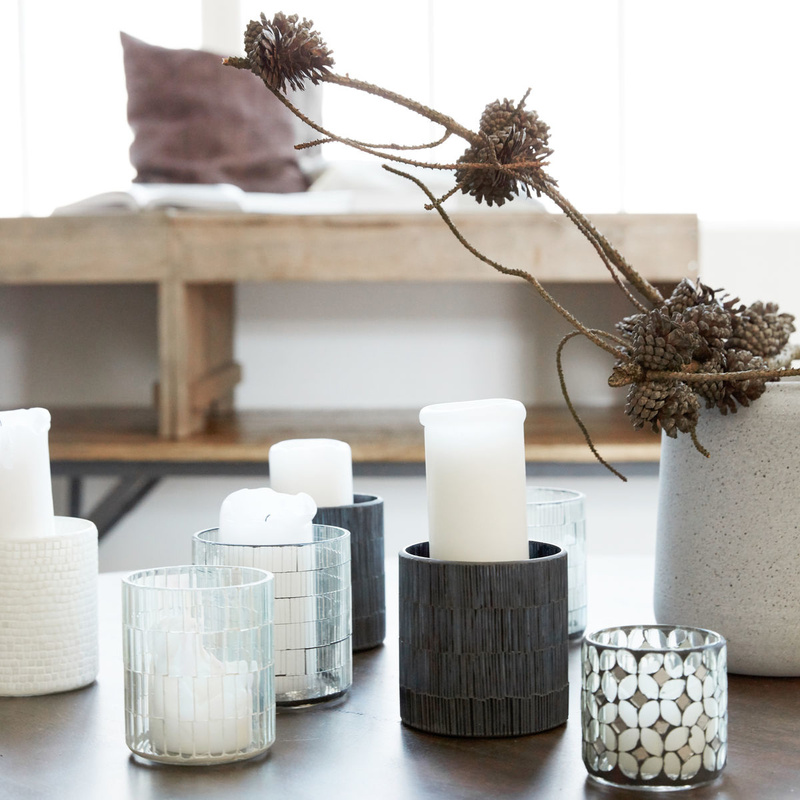 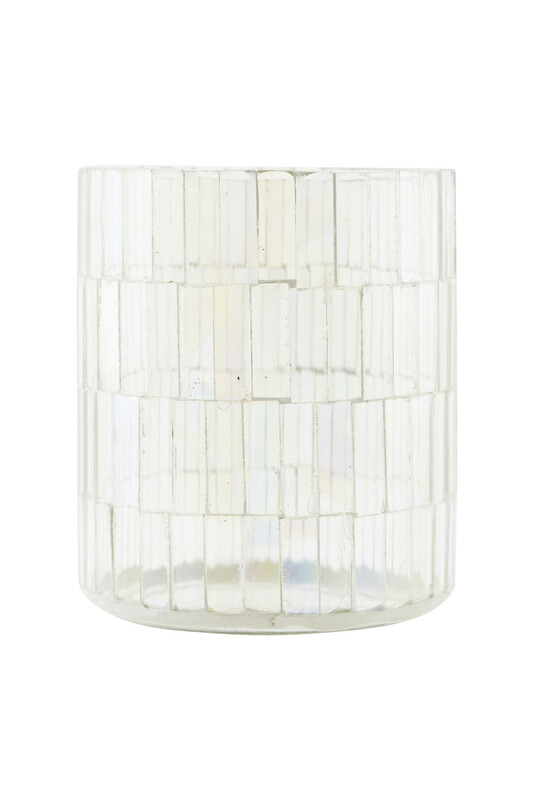 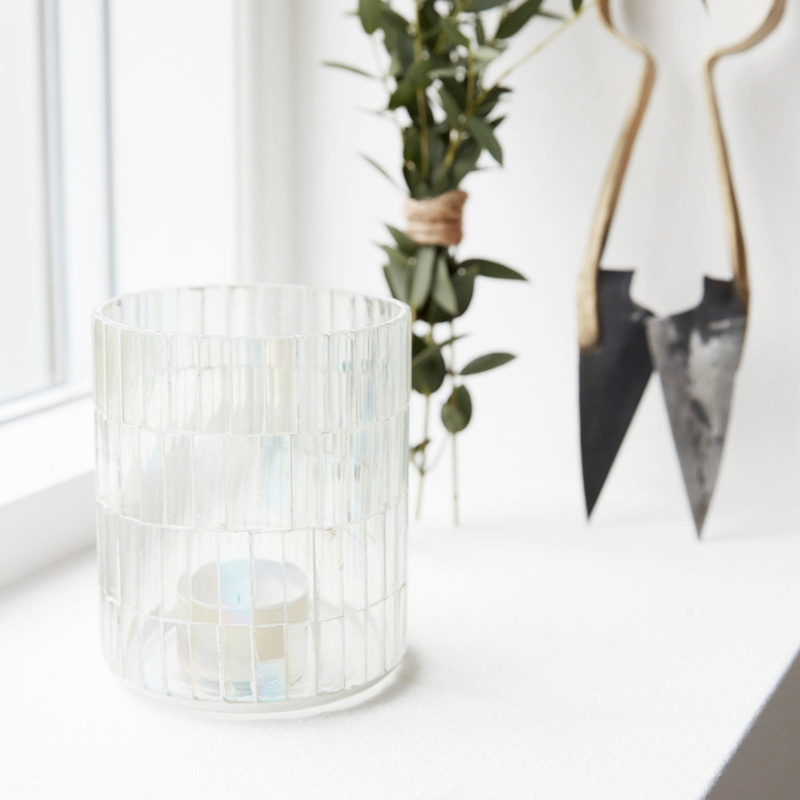 The holder is made of small pieces of light coloured glass that shimmers in different colours. 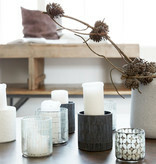 This product has a wonderful, handmade look that adds lots of character to the home. 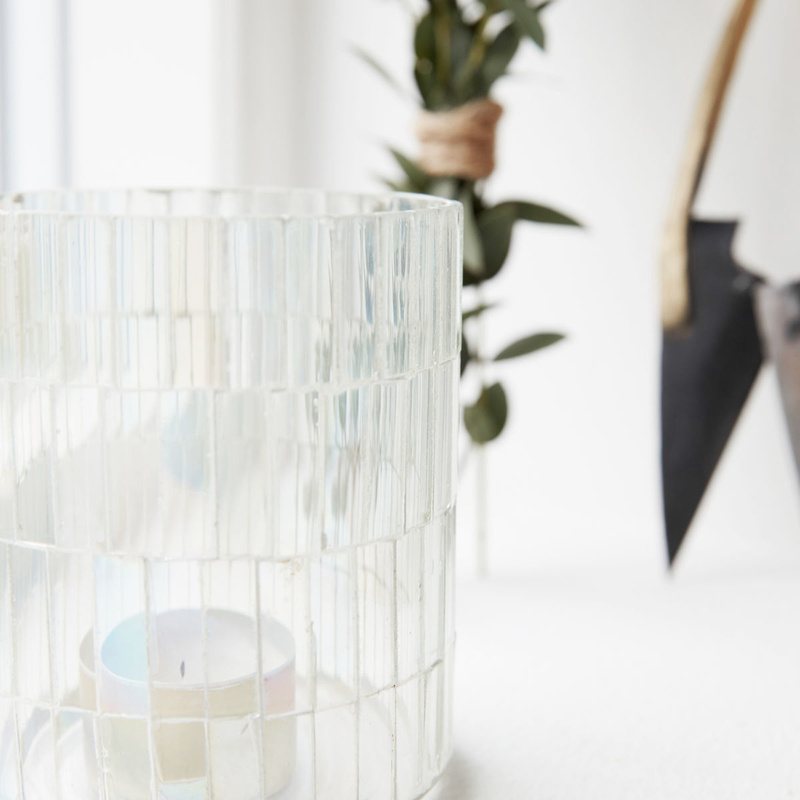 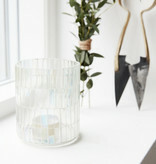 Place a small candle or a tea light in the holder and enjoy the wonderful light that shines through the beautiful glass. 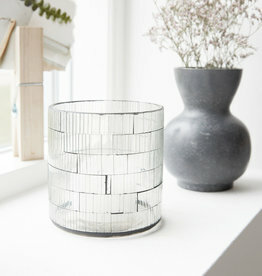 Make this product an exciting part of a stunning display on a windowsill, shelf or dresser. 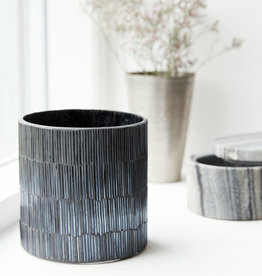 The holder will also look good when placed alone on a table or shelf.